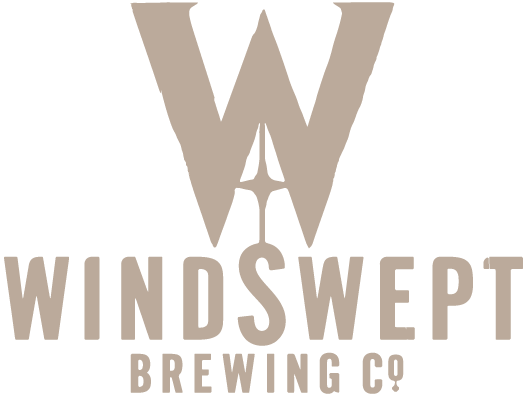 This year the Royal Air Force celebrates its Centenary Year and, having spent a combined 34 years in the RAF, Al and I thought we should create a Windswept beer that commemorates the achievements and collaborations of the last 100 years as well as supporting the future of the organization through the excellent work of the RAF Benevolent Fund. We have produced a beer that echoes the strong affiliation that exists between the RAF and the US Airforce that has resulted in the success we have seen with air power over the last 100 years. The new beer blends traditional British malt base with New World hops to create a tropical fruit salad of a beer. With pineapple, mango and tangerine on the nose, and ripe stone fruits on taste; Hurricane is a big, smooth, fruity IPA. To help with the naming of the beer we turned to Baz Dale (Wg Cdr Retired and Director of RAF Benevolent Fund Scotland) for inspiration. After a few beery conversations and some historical research, it was clear that the Hurricane was an aircraft that had been hidden in the shadow of the Spitfire for too long! Contrary to popular belief, it was the Hurricane’s stability, turn around time and numbers, not the Spitfire’s speed, agility and grace, that gave the RAF the edge in the Battle of Britain. 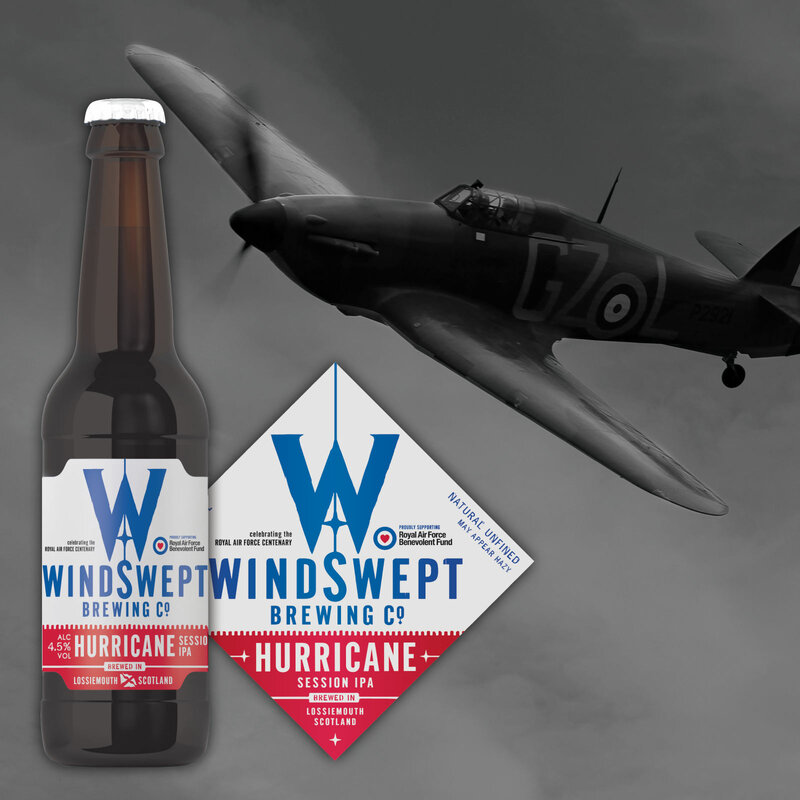 The Hurricane Beer launched on 1st May 2018 and we will donate 5p to the Fund from every pint sold in celebration of 100 years of flying excellence in the RAF. For those of you who are still reading and would like to know a little more, below is a short history of the Hurricane. 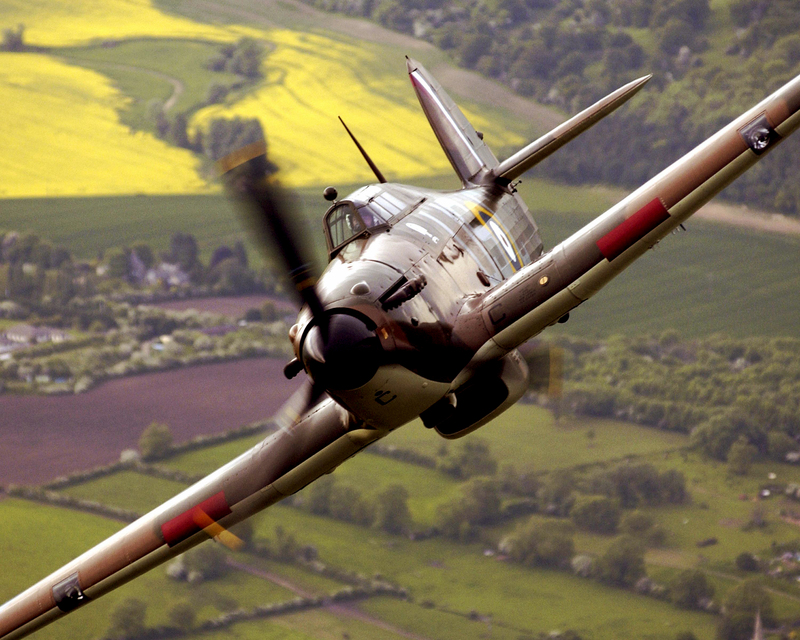 If you have any related stories or knew someone who flew the Hurricane we’d love to hear from you! The Hurricane first flew in Nov 1935 and was the first RAF fighter with retractable undercarriage. During the Battle of Britain, the average numbers in Fighter Command were 1326 Hurricanes as opposed to 957 Spitfires and there were 32 Hurricane Squadrons and only 19 Spitfire Squadrons. Hurricane had a wooden frame and canvas covering that made it easier to fix and had a significantly faster turn round time than Spitfire, 9 minutes vs 26 minutes. This meant the Hurricane could be back in the air faster than the Spitfire, which resulted in it flying significantly more missions during that crucial time in 1940. The majority of German aircraft shot down during the Battle of Britain were destroyed by Hurricanes! The Hurricane could be equipped with rockets and 40mm cannon and this versatility resulted in a multi role capability serving as a fighter, night fighter, fighter-bomber and catapult fighter. As well as the Battle of Britain, Hurricanes, also affectionately known as Tank Busters or flying can openers, are famous for defending Malta until Spitfires arrived in 1942. They fought in Norway, France, Greece, Malta, Egypt, Libya, Tunisia, Italy, India and Burma amongst other places. The last squadron to operate Hurricane was No 6 Squadron (now flying Typhoons out of RAF Lossiemouth) in post-war Palestine. Pilots who flew both in general preferred to fly the Spitfire, due to its greater power and lighter controls but, with its tighter turn and more stable firing platform, the Hurricane was often preferred for combat.